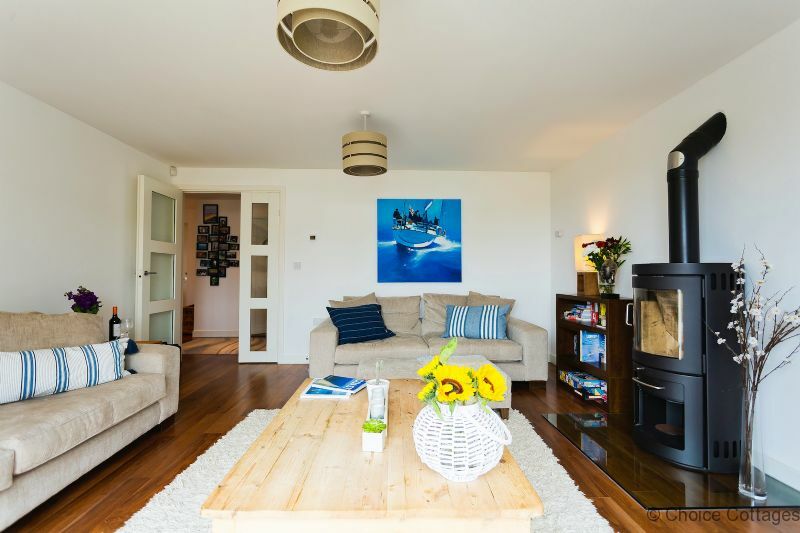 Escape to the seaside this summer and stay within walking distance to a pristine surfing beach and the centre of a bustling picturesque village. 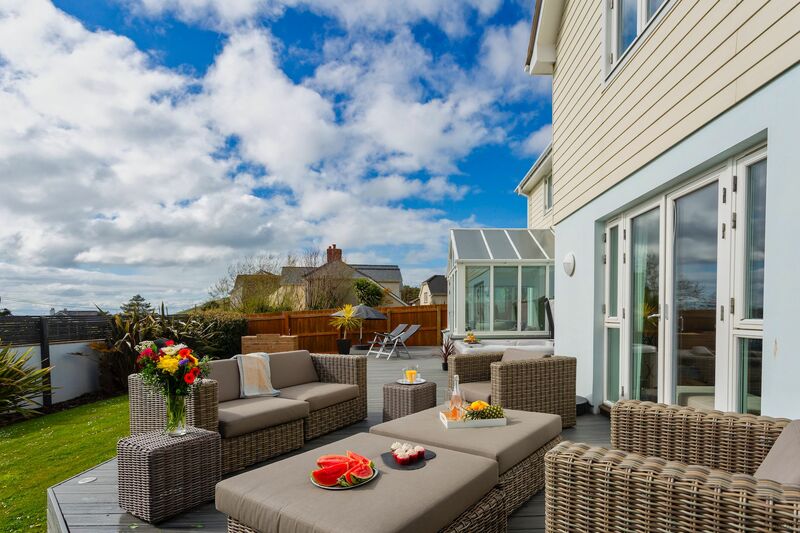 CROYDE BAYWATCH is a beautiful, luxurious holiday home, with tones of sailor themes, set in a prime location in Croyde village. The famous Thatch Pub is a five minute stroll down the road as well as ice cream shops, surf hire, gourmet restaurants, a deli and more village pubs. 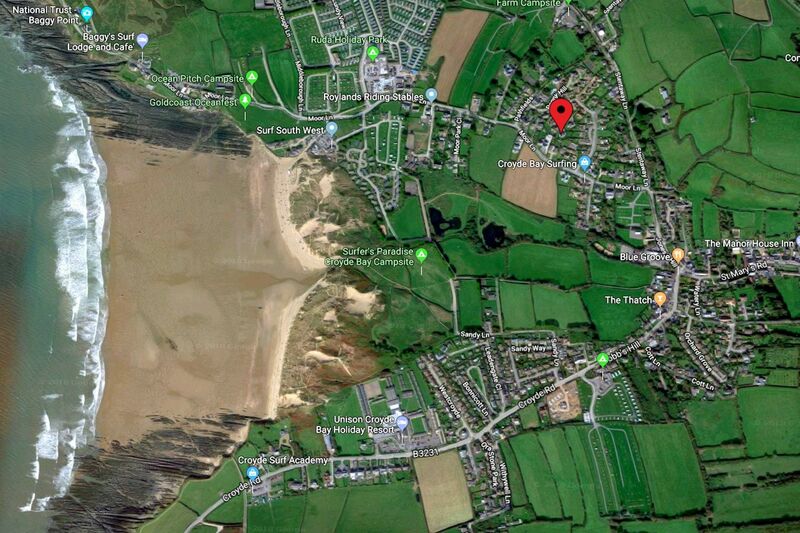 Just a short drive away are the many more surfing beaches including Saunton, Putsborough and Woolacombe. 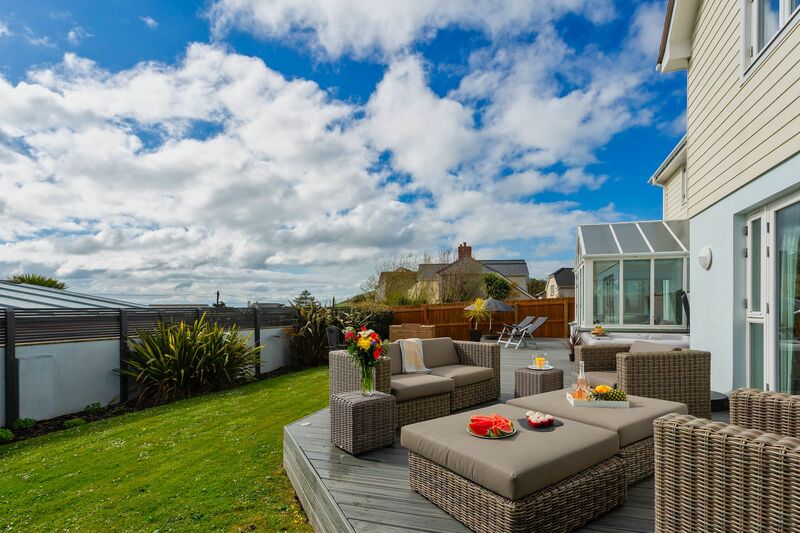 CROYDE BAYWATCH is a wonderfully spacious detached property. 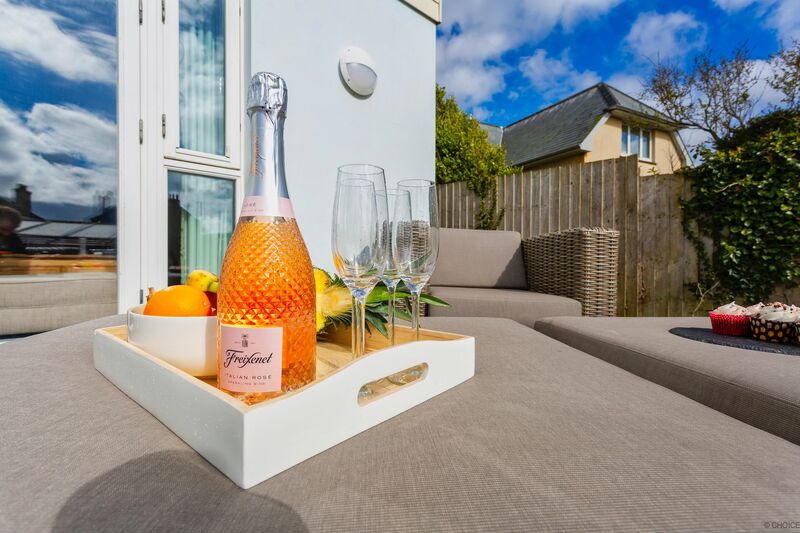 Sleeping 11 people in 5 bedrooms it offers contemporary accommodation and the luxury of a hot tub, a kids TV room and large lounge with Sky, a Smart TV with Netflix and underfloor heating. There is also a premium Apple HomePod wireless speaker for your enjoyment. The perfect base from which to explore this wild and wonderful part of North Devon. 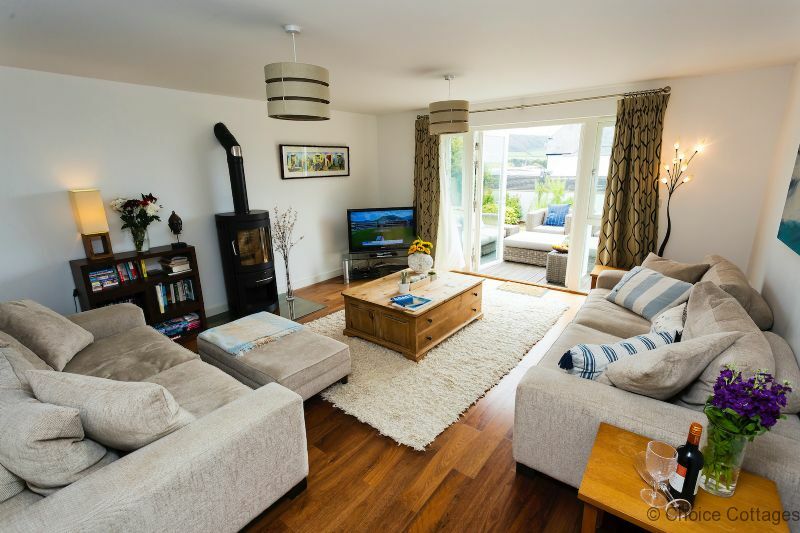 This spacious property has the benefit of two living areas. 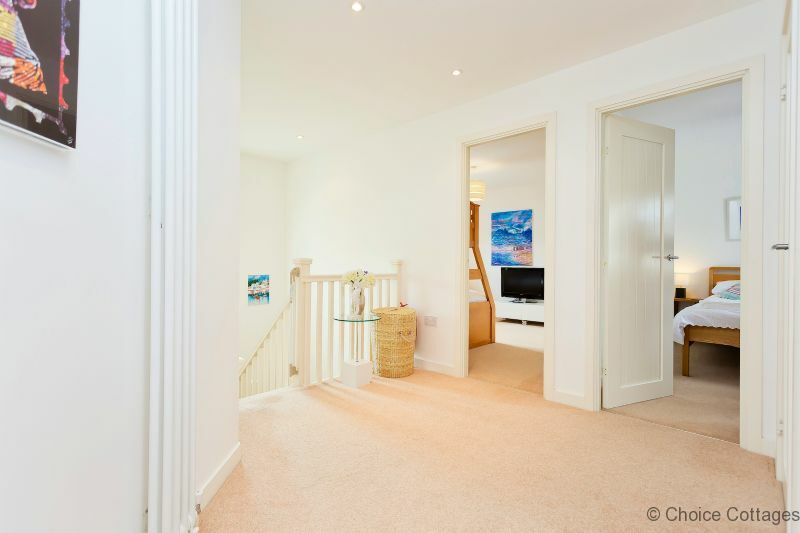 The living areas are bright and spacious, with a particularly large hallway. 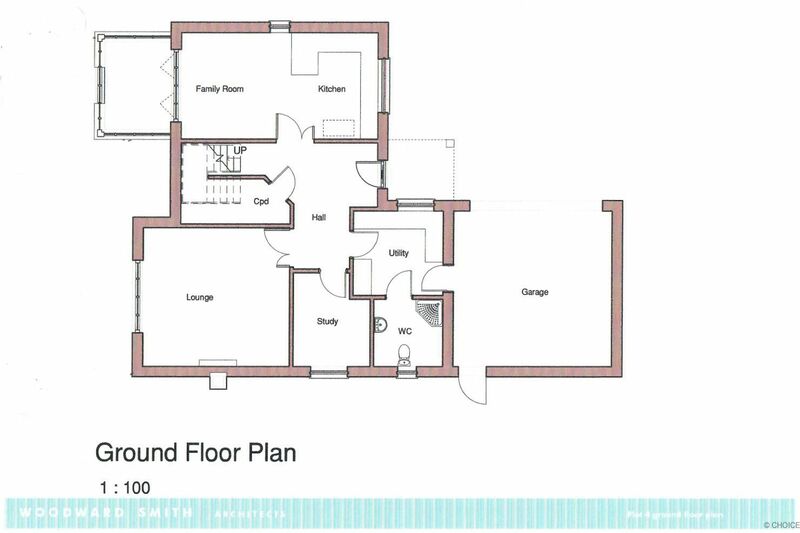 There is underfloor heating throughout downstairs. The main lounge is grown up and calming with two large sofas and a log burner, with fireguard (logs not supplied but available in the village). 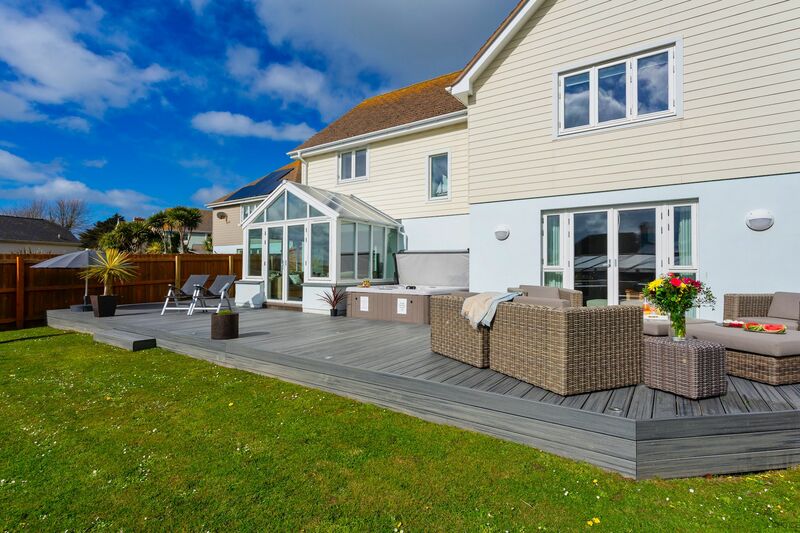 Double doors lead out onto the sunny decking and hot tub in the garden. There is a fantastic second lounge/snug aimed at children, with a TV, PlayStation 4, sound system and selection of DVDs. WiFi internet access is provided (Superfast Broadband). 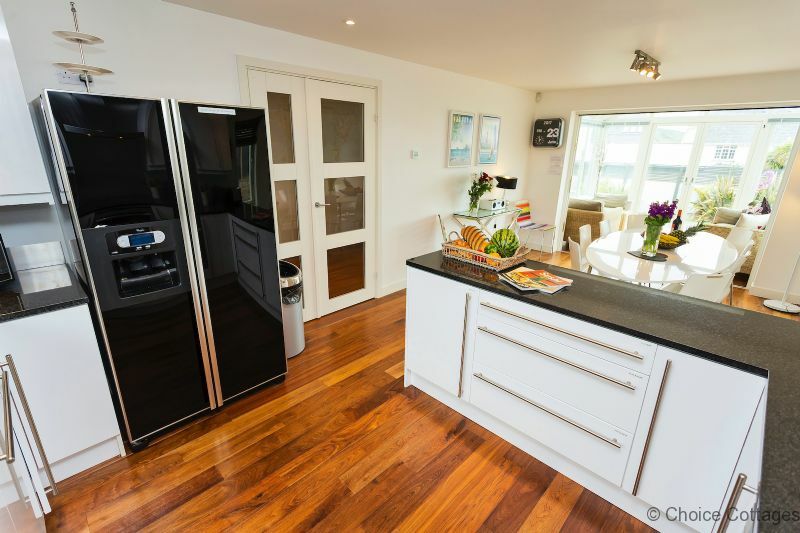 The kitchen is the heart of the home with a sociable, open plan layout. 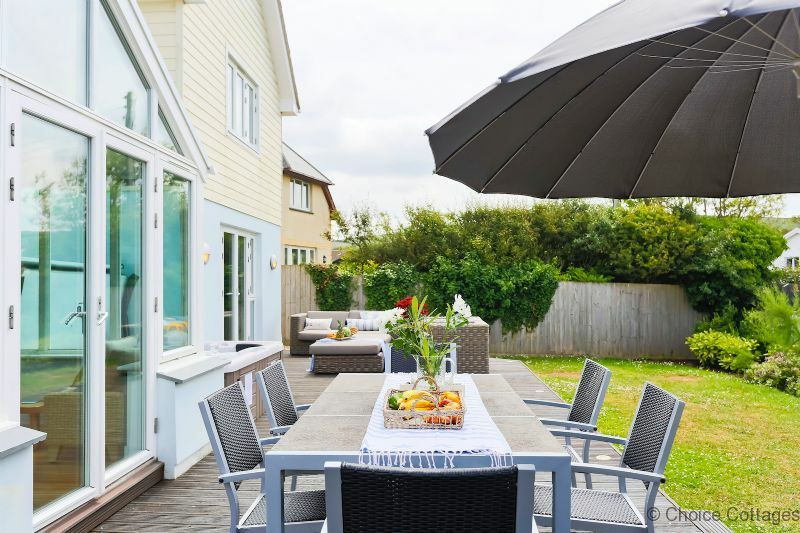 It connects the dining area and a sunny conservatory space with more seating, that leads out into the garden. The dining table seats 10 people and a high chair is provided. 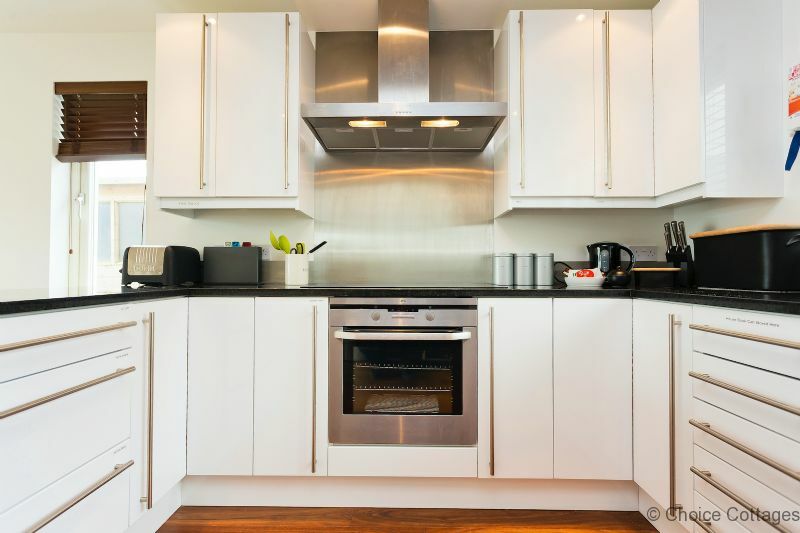 Appliances include an American style fridge/freezer, dishwasher, electric oven, electric hob, microwave, washing machine, tumble dryer, kettle, toaster and cafetiere. There is also a good supply of pots, pans, cutlery and crockery. There are 5 upstairs bedrooms sleeping 11 people in beds. All bedrooms are light, spacious and very well appointed.Each bedroom has furniture to store your belongings. Bedroom 1: Master bedroom with king size bed and en suite bathroom, as well as far-reaching views over Croyde Bay. 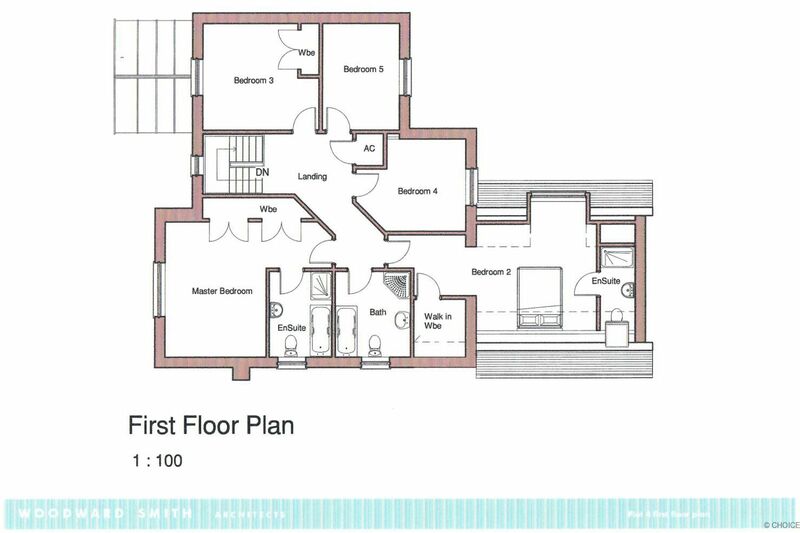 Bedroom 2: Double bedroom with king size bed and en suite shower room. Bedroom 3: Double bedroom with king size bed. Bedroom 5: Triple bunk bedroom sleeping 3 people (double bed beneath a single bed). With flatscreen TV. All four bathrooms contain a heated towel rail ensuring your bath towels are always warm and dry. Bathroom 1: Downstairs contemporary wet room with large shower area, mirror, wash basin and WC. Bathroom 2: En suite to Bedroom 1 with bath, separate shower enclosure, wash basin and WC. Bathroom 3: Upstairs bathroom with bath, separate shower enclosure, wash basin and WC. Bathroom 4: En suite shower room to Bedroom 2. A modern shower room with large shower enclosure, wash basin and WC. 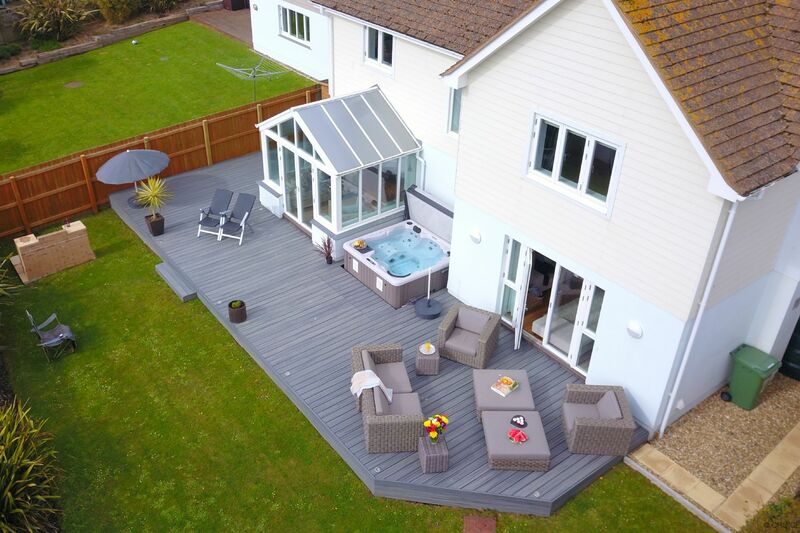 The large, beautifully planted and fully enclosed south facing garden provides plenty of space for play, relaxation and outdoor entertaining. 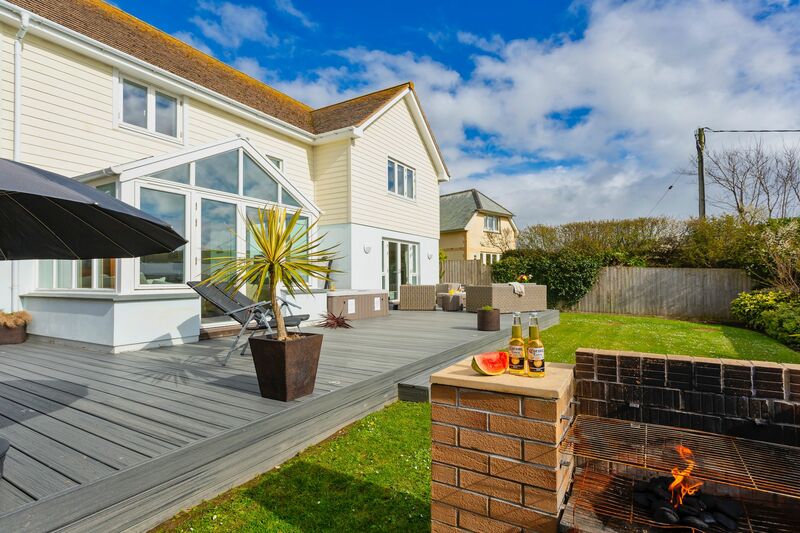 There is a large raised wooden deck area with a brick BBQ and seating as well as a lawn. 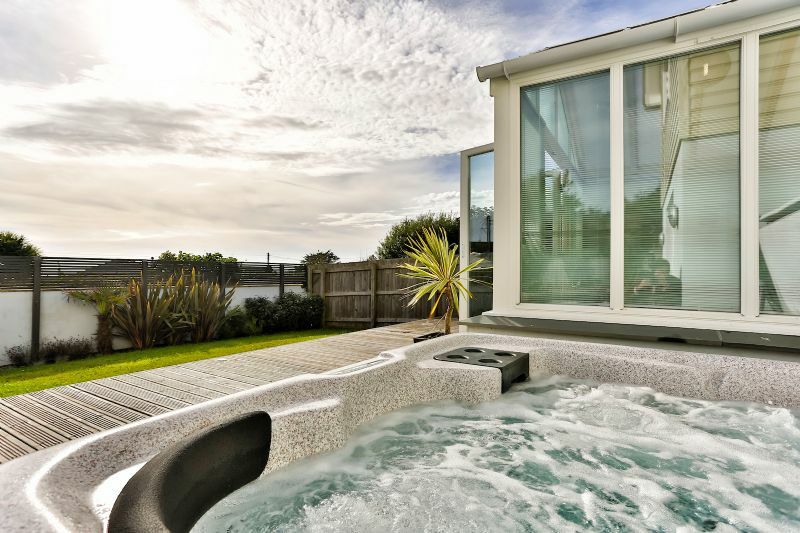 Relax and unwind in the hot tub after a day at the beach. Enter the garage through the utility room to find a foosball table, racks for wetsuits, ample storage space for surfboards, bikes, wetsuits etc. Beach toys are also stored here. Access from the rear of the garage to the garden provides and hot water outdoor shower. There is parking space for 3 cars. WALK TO – Croyde is a magical place nestling around a stream running down to the sea. This award-winning sandy beach is fine and flat, ideal for children and good for surfing. Rock pools are in abundance and dunes a haven for young and intrepid explorers. Local fun parks for the children such as Cascades Pool Park are a great way to spend the day. Croyde Bay is renowned as a premier surfing beach destination in England for short and long boards. For the more adventurous, kite surfing, volley ball, kayaking and horse riding is on your doorstep. Within walking distance of Croyde beach enjoy its ice cream shop, gourmet restaurants, superb village pubs, surf shops, and art gallery. This classic 'chocolate-box' village is steeped in old-world charm and echoes the feeling of life in Britain in times gone by. Coastal and Countryside walks include the majestic Croyde cliff path to Baggy Point, (and for those energetic), to Woolacombe and beyond. CYCLE TO - A day at historic Braunton Burrows is great. Cyclists can enjoy the 30-mile Tarka Trail tracking the scenic coastline of North Devon. We have had a wonderful weeks holiday, clebrating our Golden Wedding Anniversary. Look forward to coming back. Superb holiday house. Excellent location. Much fin was had. Thanks for a wonderful week in this lovely home. Thank you so much, we laughed and sang and ate and drank kid free! Wonderful. 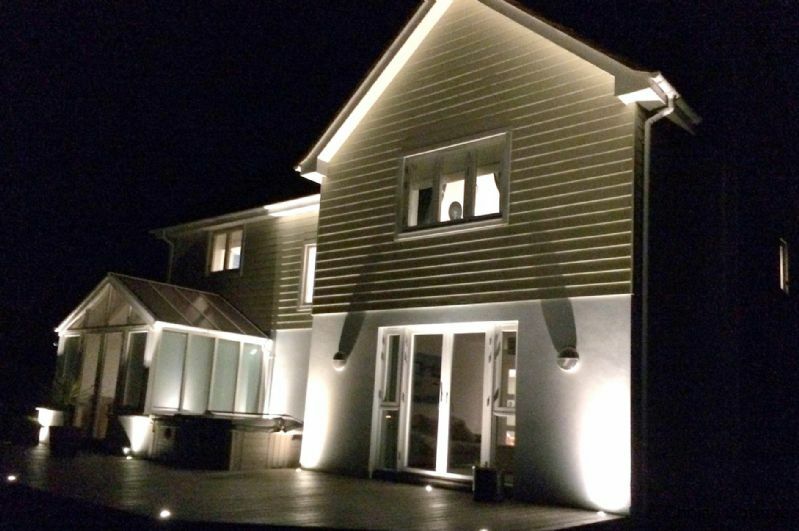 A group of 10 friends who have been coming to Croyde for the last 8 years and this is the best house yet!! Very homely and very well equipped. A great location too! Highly recommend and will hopefully return. Lovely home in a great location! Had a fantastic week. Beautiful home with great amenities. You get what it says.. only a short walk to the beach. A lovely home to stay in! The house is well situated for the beach and village. We really enjoyed staying here. We've been to Croyde many times and this is our favourite house so far! Thanks for all the handy bits and pieces such as toys/books/games console. Lovely home to suit 3 generations. Great time had by all despite the break in the weather. Fantastic house, fantastic weather. Thank you so much for allowing us to stay in your superb house. Just had a brilliant week! Love the hot outdoor shower! Great kitchen and BBQ. Looking forward to the rest of Baywatch on DVD! Great holiday home with all you could need in this perfect village we love. Lovely, warm home.Fantastic location for everything. Hot ub was well used!!! Highly recommend "The Rock Inn" pub in Georgeham - visited twice in one week - fab food and service. Had a great week - many thanks! We booked this house for my Dads surprise 60th gathering and it was absolutely perfect. We were welcomed with milk for tea and coffee a cake and a card for my dad and a beautiful bunch of flowers on the table. My partner and I have visited Croyde at least once a year for the past 9 years and I can safely say this was the nicest place we have stayed in. 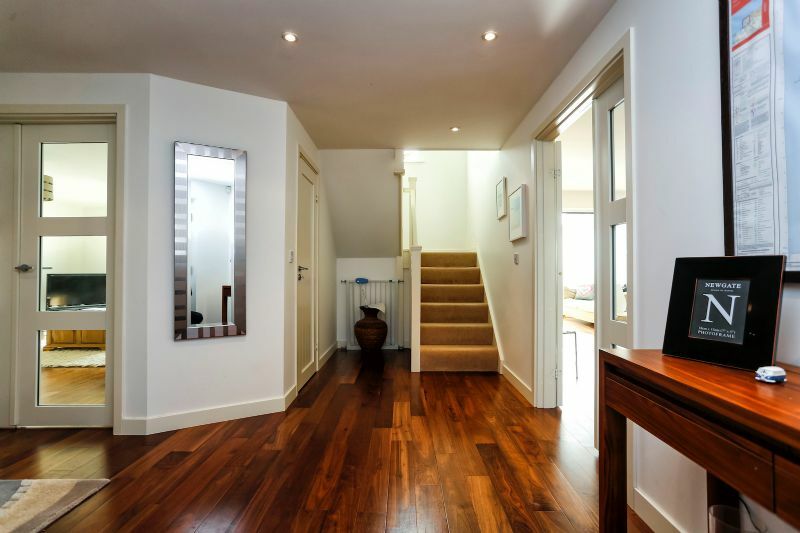 Everything was immaculate and looked brand new, the property was laid out brilliantly, was comfortable and felt like home immediately. The beds were a dream to sleep on, all rooms are a good size and with great views. And lots of places to bath shower too. You can see the sun set perfectly from the kitchen/garden. Watching the sunset in the hot tub was amazing! All I wish is that we had booked for longer, it was the perfect family break. Thank you for a lovely long weekend! We have had a wonderful week here and have enjoyed staying at the house very much. We have enjoyed the beach and going on some beautiful runs and bike rides. The location is very good and I have enjoyed returning to Croyde Bay and showing my own family where I came on holiday every single year as a child, it's a very special place for me. Thank you for sharing your home and for making us feel very welcome and comfortable. We hope to return soon. Had a fantastic time away with friends celebrating my boyfriends 30th Birthday. The house was beautiful and a short walk away from Croyde and the beach. It made for a perfect weekend away with the bònus of a hot tub. Lovely few days in your beautiful home. Fantastic location and a really great place to rest and relax. Wonderful few days in a wonderful location and a fantastic house, thank you, will be back next year. Left by the Cooks, the Healeys, the Simpsons and the Lawsons. Brilliant week! Enjoyed the hot tub and the walks across to Baggy Point and Saunton Sands....and of course the surfing!! Thanks from the whole gang. Perfect holiday! Great location GOOD SURF! Fantastic week, thanks for sharing your home -very comfortable! Griffiths Family July 15th - Till eternity (if only)!! How Much do you want for it!!? Never been so Chilled out! FANTASTIC property and lots of space! Very well equipped. Includes linen fo?r 3 x double beds, 2 x single beds, 1 x triple bunk (double bed below, single bed above), bath towels, travel cot, high chair, WiFi internet access, heating and electricity. NB - Hot tub is an optional extra.